Despite the fact that the State of Israel seized the Golan during a defensive war and was forced to fight three existential wars during its first 25 years, with Syria being one of the attacking countries in all of them, the United Nations opted to focus on denouncing Israel’s control over the Golan and on that alone. The acquisition of sovereignty over a territory by occupation is not an accepted practice according to the international law that has been in effect since World War II. An act of occupation does not vest the occupier sovereignty over the occupied territory and, pursuant to international law, it does not matter whether the territory was seized during an offensive operation or within the scope of self-defense. Since the dawn of time, sovereignty over territories was acquired through extensive conquests. The watershed moment for occupation in terms of international law was World War II when the United Nations Charter was signed in 1945. In general, since that moment, international law no longer recognizes the acquisition of sovereignty as a result of occupation. 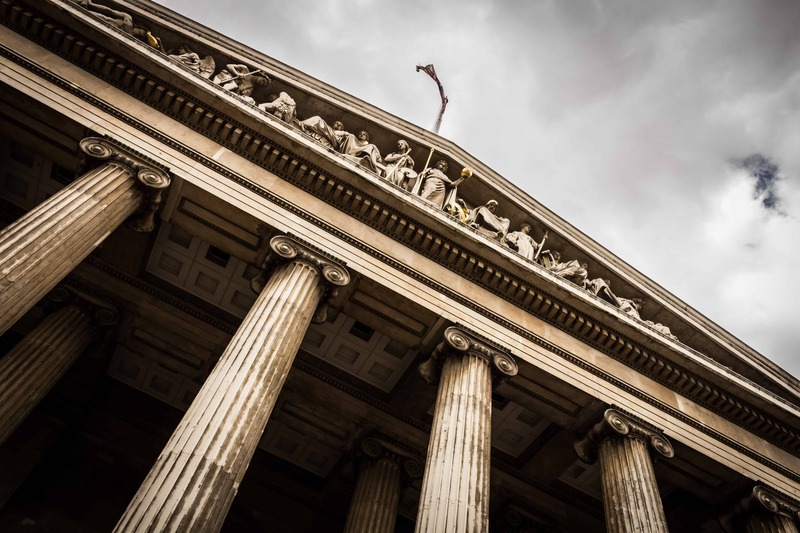 Nevertheless, international law also maintains approaches that are prone to constructive interpretation, which enable bridging between theoretical legal principles and other basic principles. In the opinion of the former President of the International Court of Justice, Judge Stephan Schwebel, a country may occupy foreign territory as long as such seizure and occupation are necessary to its self-defense. According to Schwebel, withdrawal from the territory is warranted only when and if security measures are in place that ensure that that territory shall not be used again to launch an attack. In other words, as long as a threat is posed to the occupying country subsequent to the return of the territory to the prior holder of the territory, or as long as there is a concern that that territory will again become a source of threat – the occupying country has better title to continue holding it for reasons of self-defense. The State of Israel seized the Golan Heights from Syria after years of incessant attacks on the communities surrounding the Sea of Galilee and close to the border. The Golan Heights, being a strategic control point, was, for years, a region frequently used by the Syrians to threaten the State of Israel and its strategically important sites, such as the Haifa Port. The Syrians also took deliberate action to divert the sources of water in the Golan, with the objective of disrupting the flow of water and denying Israel a natural resource that constitutes an existential need for residents and for agriculture in Israel. 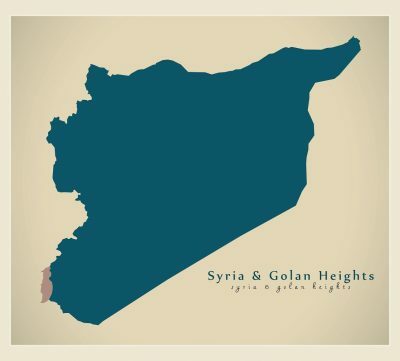 Furthermore: during the 20 years of Syria’s control over the Golan, and as a country that supports terror, Syria allowed terrorist organizations to use the topographical advantage of the Golan Heights as a base for exporting and launching terrorist attacks against Israel. Israel’s seizure of the Golan Heights was done in self-defense, to ensure the security of the State of Israel and of its residents and to remove an existential threat. True, Syria’s loss of the Golan Heights impinged on the principle of Syria’s territorial integrity, but at a relatively negligible scale. The territory that Israel seized in the Golan Heights is not more than one percent of Syrian territory. For the sake of comparison, the dispute between Syria and Turkey over the Sanjak of Alexandretta – involves a territory nearly three times the size of the Golan Heights. Despite the fact that the State of Israel seized the Golan during a defensive war and was forced to fight three existential wars during its first 25 years, with Syria being one of the attacking countries in all of them, the United Nations opted to focus on denouncing Israel’s control over the Golan and on that alone. The United Nations and its various institutions issued 235 resolutions denouncing Israeli control over the Golan Heights and over the territories of Judea and Samaria, 76 of which were specific resolutions denouncing Israeli control over the Golan – at an average of about seven resolutions per year, over the past 35 years. Other cases of occupation around the world – such as those in East Timor (which today is already an independent country), in the Western Sahara, in Northern Cyprus, in Nagorno-Karabakh, in Abkhazia and in other cases, the majority of which have identical characteristics but far weaker justifications than Israel has with regard to the Golan – were not similarly denounced. The lack of consistency on the part of the United Nations’ institutions and international law as it pertains to denouncing Israel’s control over the Golan is also reflected in the use being made of section 49(6) of the Fourth Geneva Convention, which prohibits an occupying country from transferring its population into the occupied territory. In all of the cases referred to above, the occupying countries transferred significant volumes of their citizens to the occupied territory, also by providing incentives. In not one of these instances did the United Nations declare that the occupying countries were violating section 49(6) of the Fourth Geneva Convention – and solely denounced Israel. In recent years, a boycott has also been instituted against goods being produced in the Golan Heights, and some European countries have begun marking goods produced in the Golan Heights. At issue are actions unlike those employed in other cases of occupation, either in characteristics or intensity. The collapse of the Syrian Republic and the developments in Syria and in Iraq over the past six years are creating another strategic security threat today. The principle of self-defense that justifies Israel’s occupation of the Golan is not only retrospective as stated above, but rather – and even more critically – is prospective. If one examines the massive scale of the casualties, the wounded and the destruction in Syria and in Iraq during these years, it is evident that the region is suffering a catastrophe of a magnitude similar to the devastation caused by the use of a nuclear weapon. Hundreds of thousands of casualties, millions of refugees, so many cities that have been wiped from the face of the earth, and eruptions of hatred that will not begin to die down for many decades to come. The war in Syria and the violent ethnic confrontations have pulverized the fabric of Syrian society (although it is doubtful that it had ever been integrated or unified). According to assessments, by mid-2016, after five years of war, the number of people killed during the fighting in Syria had reached about a half-million people. About 10 million Syrians – about half of Syria’s population – have lost their homes; about 8 million Syrians have fled their country and become refugees. Seventy-five percent of the Syrian economy, including its infrastructure and economy, have been destroyed or collapsed during the fighting. The ethnic conflict that has been raging in Syria and in Iraq over the last seven years has transformed the region into a minefield of hatred and hostility that guarantees that the region will be shrouded in uncertainty and instability for at least another half-century. The massive losses of lives and the collective degradation of families, clans and tribes, as well as the ethnic rifts and the religious loathing – all shattered any common ground for co-existence. At issue are such cataclysmic traumas that it is difficult to see how diplomatic efforts, as serious as they may be, could heal the wounds inflicted by the conflict. The many years of conflict engendered intense feelings of loathing, vengefulness and frustration that have become ingrained. At issue are not merely internal Syrian affairs, but rather events having enormous security implications on the State of Israel: inherent instability in the region increases the risks of recurring outbreaks of violence in the future. The situation in Syria is analogous to a region over which a black cloud of radioactive fallout is hovering, the perils of which will affect generations. The idea that it will be possible to mediate the colossal religious-tribal disputes raging in the Middle East through an accelerated reconciliation process is a wish that is completely incongruous with the reality in the region and one that would be tantamount to employing a Procrustean bed approach. History is replete with examples of virulent disputes that ended with less than optimal reconciliation processes, which later caused further outbreaks of the conflict, sometimes even more intense and more violent than before. The peace and reconciliation arrangements subsequent to World War I, which provided the foundation for World War II, are a good example of this. Israel needs to remove any scenario of withdrawal from the Golan Heights from the domestic and international agenda. The future of the region in the coming decades derives from the recurring geo-political earthquakes that will inevitably and gradually reconfigure the region. This is a long process that is influenced, inter alia, by the battles over regions of control and by cultural, religious and ethnic battles, and it is impossible to shorten the process by artificial means. The vicious warfare in Syria and Iraq has created a new reality on Israel’s northern border – Israel finds itself frequently contending with threats from various terrorist organizations from across the border. Assad’s apparent return to controlling various regions in Syria relies on Iranian and Russian war materials; for most of the population in Syria, the Iranian-Assad alliance is not a natural alliance and its durability over time is cast in doubt. In the coming decades, while the infernos of the ethnic conflicts in Syria and in Iraq continue raging, above and below ground, this uncertainty will continue. Unlike the territorial confrontations in Europe during both world wars, the warfare in Syria and in Iraq are grass-roots confrontations posing security challenges to Israel that bear no resemblance to the military challenges arising from confrontations between hostile countries; consequently, the traditional contractual model is irrelevant to the ailments of the Middle-East during the 21st century. Only time can heal these wounds, if at all. Consequently, any Israeli withdrawal from the Golan Heights will magnify the threat posed to the State of Israel, due to the inherent instability on its northern front. The continuing Israeli control over the Golan Heights is also clearly justified for reasons of self-defense, in the profoundest sense of the word.